A HIGH Court judge has raised concerns about her safety and has questioned the decision by the Judiciary to appointment a former law enforcement officer who has been named in an alleged plot to assassinate a former friend of Chief Justice Ivor Archie. 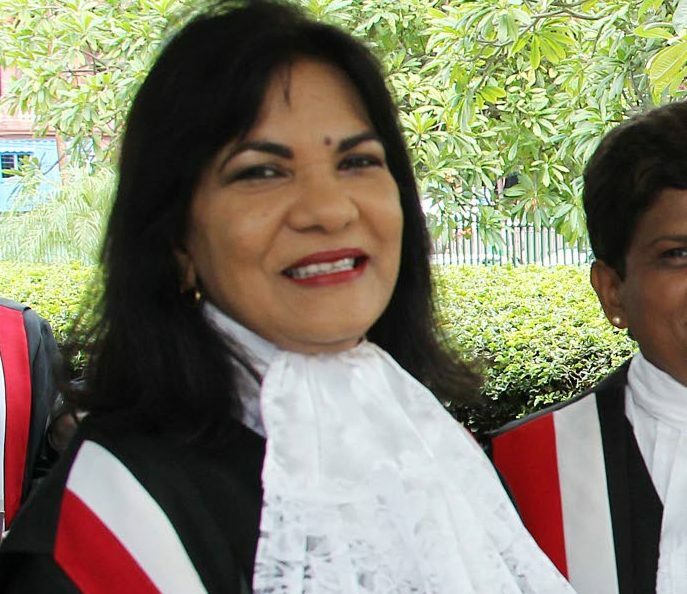 In e-mail correspondence to acting Chief Justice Allan Mendonca recently, Justice Carol Gobin asked if the person was appointed by the Judiciary and said it made her fear for her safety. “It is one thing to have to function in an environment of gloom and depression. It is quite another to have to factor in concerns about one’s physical safety and breaches of one’s privacy,” she told Mendonca. She pointed out that the man would have direct access to judges’ chambers at the Hall of Justice in Port of Spain. However, she made it clear she was not pre-judging the person. “I do appreciate that these are so far only allegations and make it clear that I have made no judgment on the conduct of the gentleman,” she said, as she asked for a meeting of all judges to discuss the issue. Mendonca, in his reply to Gobin, said the issue of the meeting would be raised on Chief Justice Ivor Archie’s return to the country. Archie left the country on Carnival Friday and a statement from the Judiciary said he was to return on March 10. The meeting of the judges is yet to be scheduled. Dillian Johnson, who was said to be a friend of the Chief Justice, in a statement to police named the man as being involved in the attempt on his life on December 3, 2017. The man’s name was also mentioned by a woman who gave a statutory declaration in relation to Johnson’s shooting. After the shooting, Johnson left for the United Kingdom where he sought asylum. He was eventually granted humanitarian protection by the UK Home Office. Reply to "Judge expresses concern about her safety"